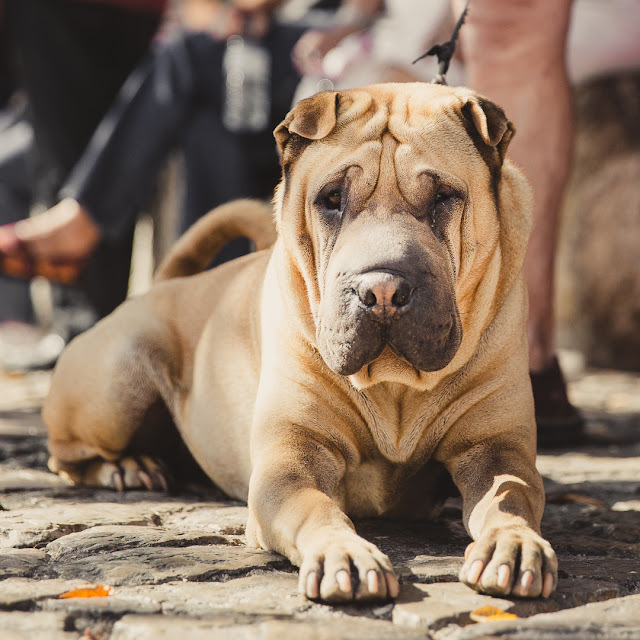 This is Shar-pei looking at the camera very intently at the recent Fete de la Branda in Gorbio village. They are a good guard dog ... my groomer , who has a number of dogs has one. Very gentle but .... he knows I am at Patricia's place with her permission ! They are a great dog but many suffer from skin problems .